Are you a light sleeper and have trouble falling asleep? Do you live on a noisy street or share a room with a partner who snores? If so, our Audiologist at Premium Hearing Clinic offers custom earplugs that may be an excellent solution to help you get a better night’s rest. 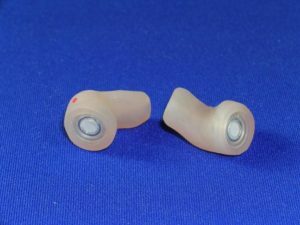 An impression is taken so that a custom silicone mold can be made providing an excellent seal and a comfortable fit in your ears. Custom plugs also allow for easy insertion and removal and will fit snug in your ears at all times. They are reusable which means that you are helping to reduce the environmental wastage that comes with the disposable earplugs purchased from a pharmacy. These custom plugs can also be specifically made to be used as hearing protection for those exposed to loud levels of noise in their workplace. If you are exposed to at least 85 decibels over an 8 hour period or longer, custom noise plugs will reduce the intensity and impact of loud sounds at work. Premium Hearing Clinic also provide custom earplugs for musicians who wish to protect their hearing while continuing to do what they love. They come with different filters according to the type of instruments that you play, while preserving the quality and clarity of music so that you can safely listen to and enjoy music. Lastly they can also be made for the avid swimmer who runs into difficulty of that sometimes persistent swimmers ear issue. If you have a hole in your eardrum, our custom fitted earplugs will protect your ears from further ear infections that can be caused from any water activities such as bathing and swimming. 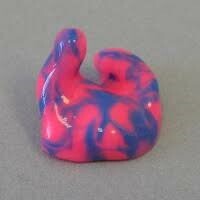 We also make custom earmolds to fit with your i-pod/MP3 player headset as well as other in ear monitor systems.